Public Water System and Water Fluoridation Indicators in U.S. This dataset comprises of Water Fluoridation Statistics which is an annual report of the percentage and number of people receiving fluoridated water from 2012 through 2016. 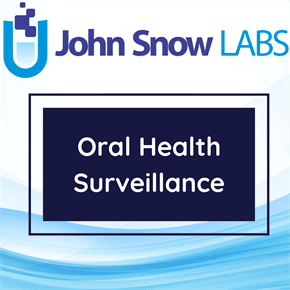 This dataset is provided by Centers for Disease Control and Prevention (CDC), National Center for Chronic Disease Prevention and Health Promotion, Division of Oral Health. National Oral Health Surveillance System (NOHSS) is a collaborative effort between CDC’s Division of Oral Health and the Association of State and Territorial Dental Directors (ASTDD). Monitoring health status and access to preventive interventions and evaluating quality of population-based health services are among the 10 essential public health services. National- and state-based surveys monitor the oral health status of the U.S. population and the Water Fluoridation Reporting System (WFRS) compiles data useful for monitoring access to and evaluating the quality of water fluoridation programs at the state and water system levels. WFRS data have been summarized every two years since 2000, and these summary reports provide estimates for tracking the Healthy People 2010 objective: Increase the proportion of the U.S. population served by community water systems with optimally fluoridated water. Percentage of Public Water System People Receiving Fluoridated Water During 2012-2016, 2012-2016 WF Statistics Report Over Number of People Receiving Flouridated Water, Public Water System and Water Fluoridation Indicators in U.S.